Originally concieved by TheRegisteredOne for OldRim. Originally conceived by TheRegisteredOne for OldRim. Edited using TRO's suggestion and expanded upon with multiple options. 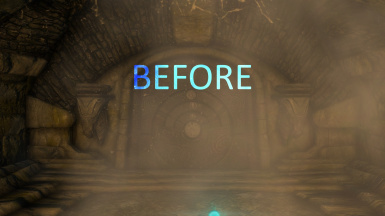 This simply makes Fog More Transparent fixing problems with it being annoying and bouncing light off torches and other light sources less. This version takes various interior and exterior fog/mist/steam nifs and decreases their transparency by 5-33% depending on how opaque they originally were. To test the main steam replacement type "coc yngolbarrow01" in console. Comes with optional versions of other attached camera effects like leafs and pine needles turned down about 15% so they are visible but not crazy bright with enbs. Keep in mind its not a huge change but I think it looks more natural w/o being too transparent. And for both the optionals and main fog there is an option to turn these all off completely. This only edits the mesh not the texture so if you find better textures out there use them with this and you will still have the same effect. 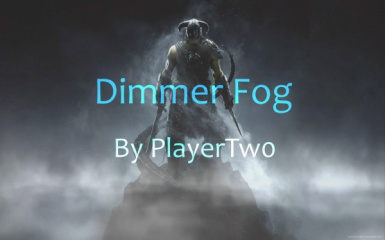 Also doesn't effect any weather or mod that edits fog as far as like a volumetric fog mod or a interior fog mod. Oh and special thanks to FiremanAF for helping me test and concieve this idea by talking about how terrible regular skyrim "effect" fog looks. 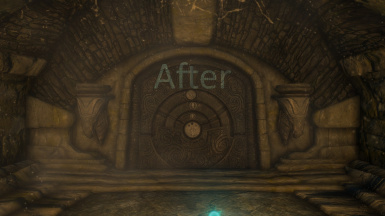 I also use his Vivid Preset Enb Skyrim Re engaged You should too! And super thanks for TheRegisteredOne for originally coming up with the concept. I have reached out and haven't gotten a response back but if I do get one I can promptly take this down if he chooses to make a new version for SE. My other Mod for SE is RealRain Check it out!